On Monday night’s episode of Raw, it was announced that Mick Foley would be added as the special referee for the Hell in a Cell match between Roman Reigns and Braun Strowman for the Universal title this Sunday in San Antonio, Texas. Foley made his first appearance on WWE programming since April 2017 for the final episode of Raw before this Sunday’s pay-per-view. 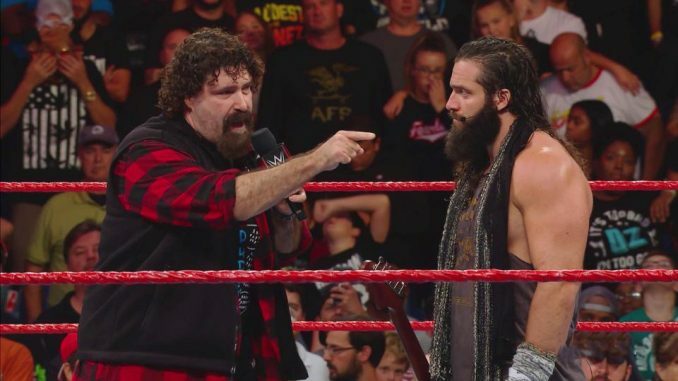 He interrupted Elias and led to Foley’s announcement that he was added to the match as the referee after pleading his case to be involved with Stephanie McMahon. It was a similar scenario to one of Foley’s previous comebacks. In November 2001, Foley was written off WWE programming and left the company. He returned in June 2003 in the role of special referee for a Hell in a Cell match between Triple H and Kevin Nash at that month’s Bad Blood pay-per-view.